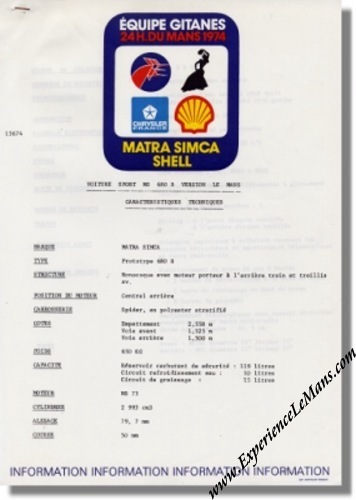 1974 Matra 24 Hours of Le Mans Press Release. This is a vintage 1974 pre-race press release issued by Chrysler France (! 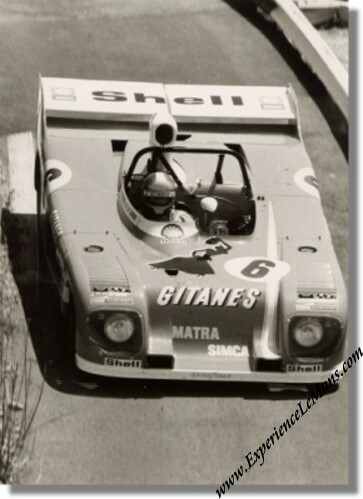 ), then owners of Matra, on the upcoming 24 Heures du mans on June 15 & 16, 1974.
a B&W press photo of the Matra-Simca MS 680 B of Jean-Pierre Beltoise and Jean-Pierre Jarrier (retired after 104 laps, S/N MS680-01). Specification sheet for the MS 73 V12 engine (in French), A4-size. 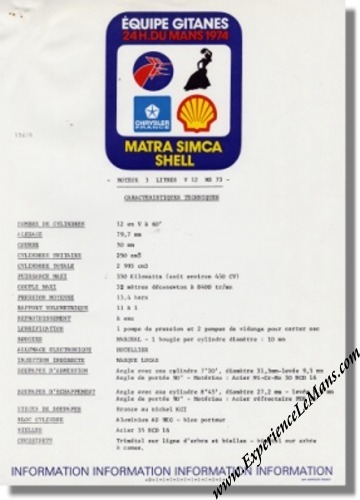 Double specification sheet for the Matra MS 670 B 1974 in Le Mans spec (in French), A-4 size. 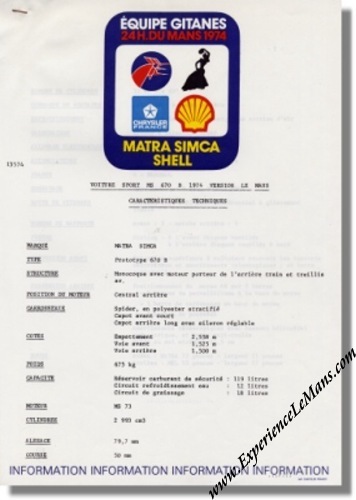 Double specification sheet for the Matra MS 680 B 1974 in Le Mans spec (in French), A-4 size.